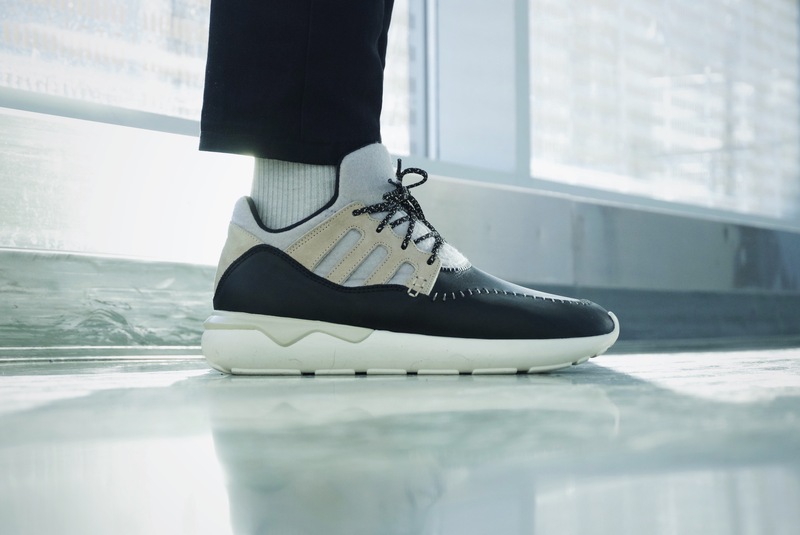 In a bold, cold statement, OFF THE HOOK boutique presents to us a collaboration piece with adidas Consortium. 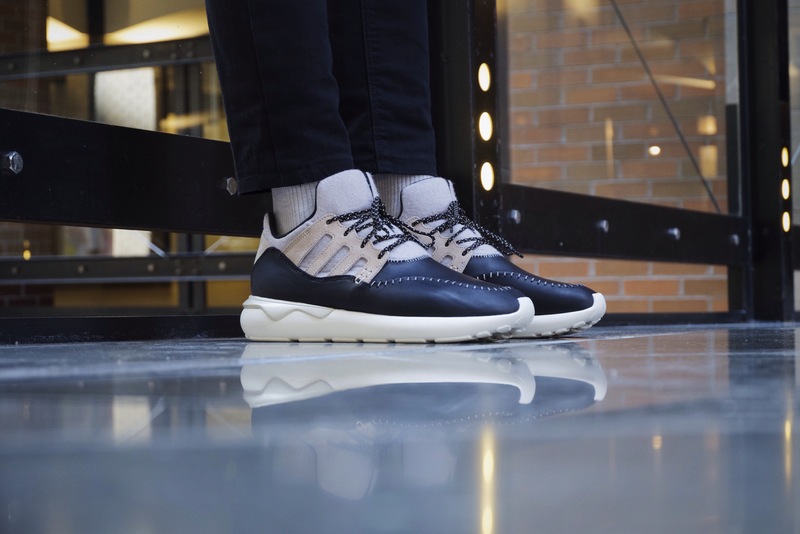 A project that has been just under two years in the making, we are offered a perspective on the adidas Tubular Moc Runner that urges one to believe that OTH’s vision keeps us skating the line between out-of-the-box trending and confident design intuition. 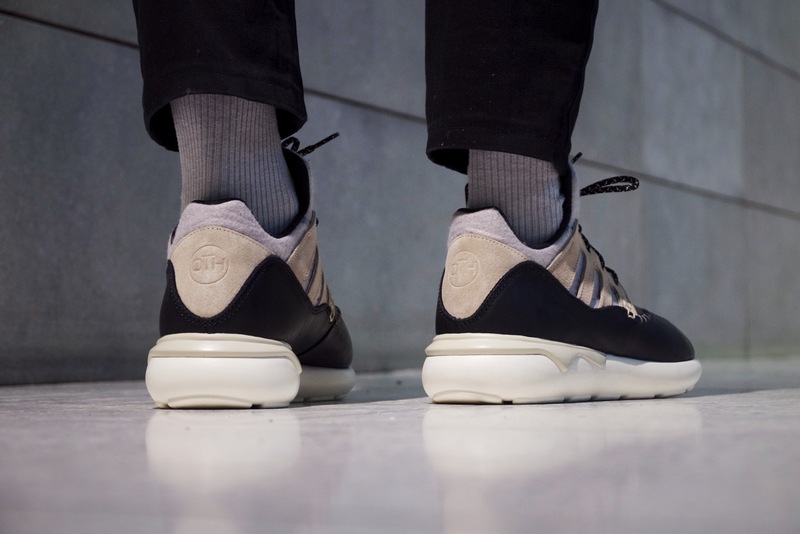 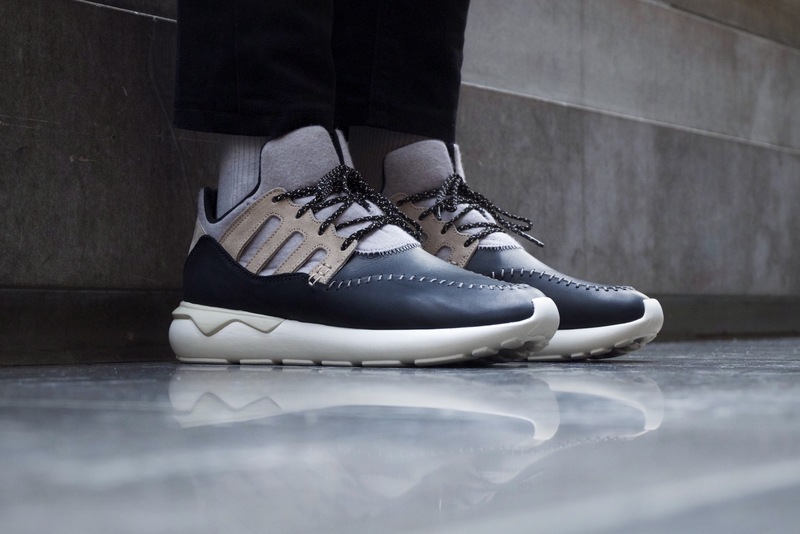 Drawing inspiration from The Voyageurs, French Canadian tradesmen of the 18th and early 19th centuries, the adidas Consortium x OTH Tubular Moc Runner features premium black leather on the Moc toe box sitting atop the beloved Tubular sole. 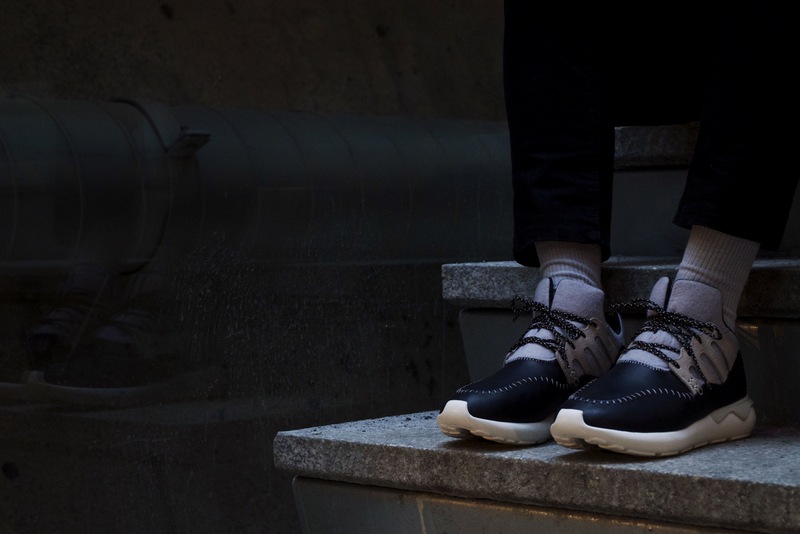 Wool uppers and a distinctive moccasin stitch draw your attention and lead you to two sets of laces and an unanticipated split tongue. 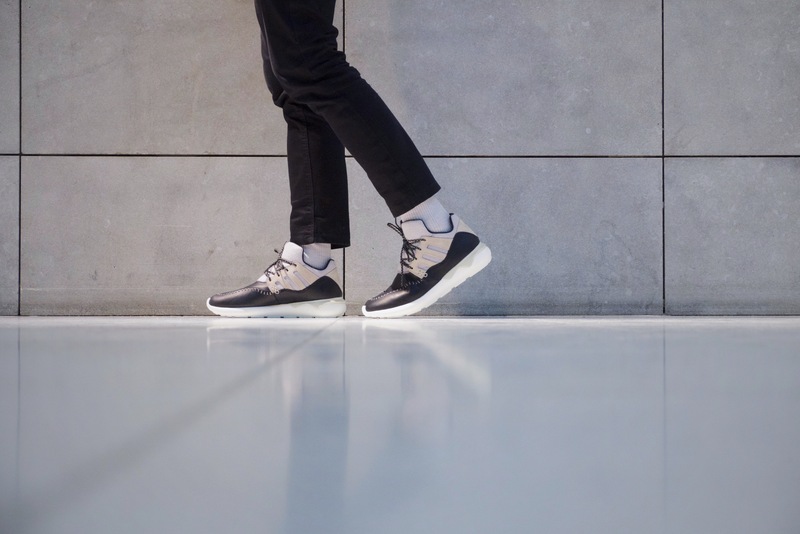 Other features of this collaboration represent a frozen lake design to recall the many treacherous lake crossings during winter expeditions. 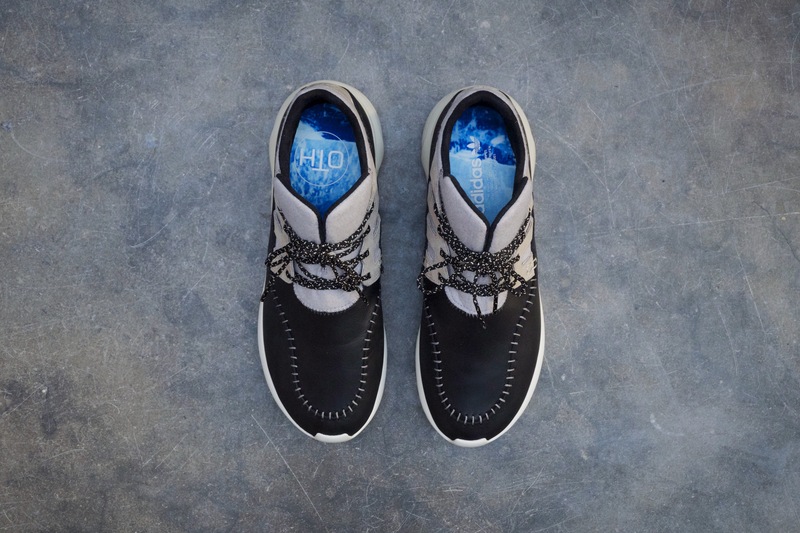 A lake-blue is also featured on the outsole. 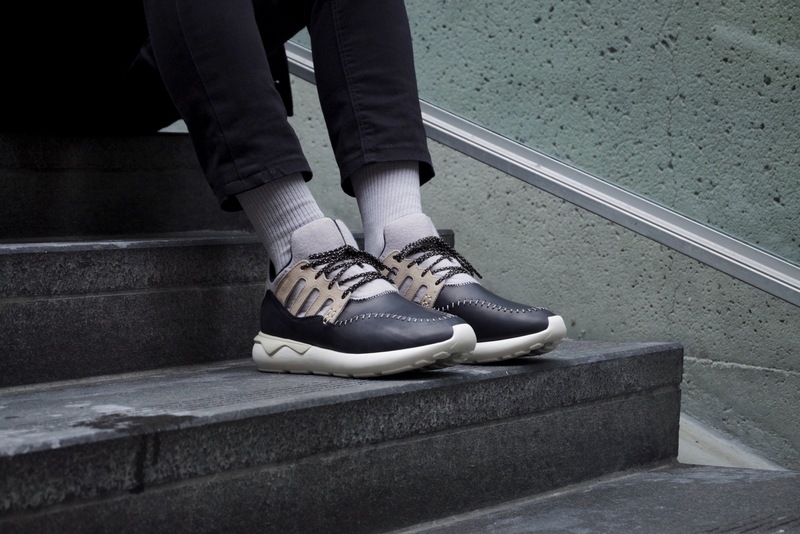 This latest effort from Off The Hook makes me thankful to be in a city where we can be first row spectators to a definite achievement by a local boutique with worldwide recognition. 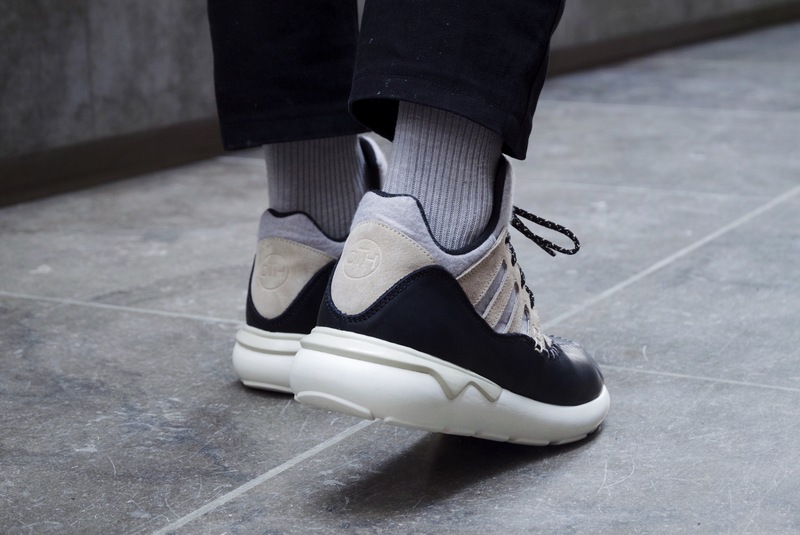 The use of layering of different materials and logo placement just keep adding to the must-own status of this shoe. 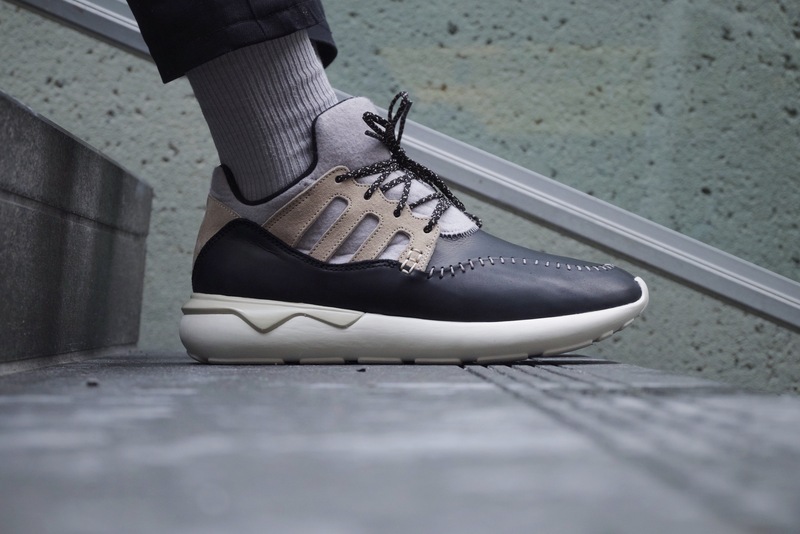 The adidas Consortium x OTH Tubular Moc Runner ($165CAD+tax) will be available at OTH on April 17th and at No74 Berlin, No42 Paris as well as selected Consortium retailers worldwide as of April 25th. 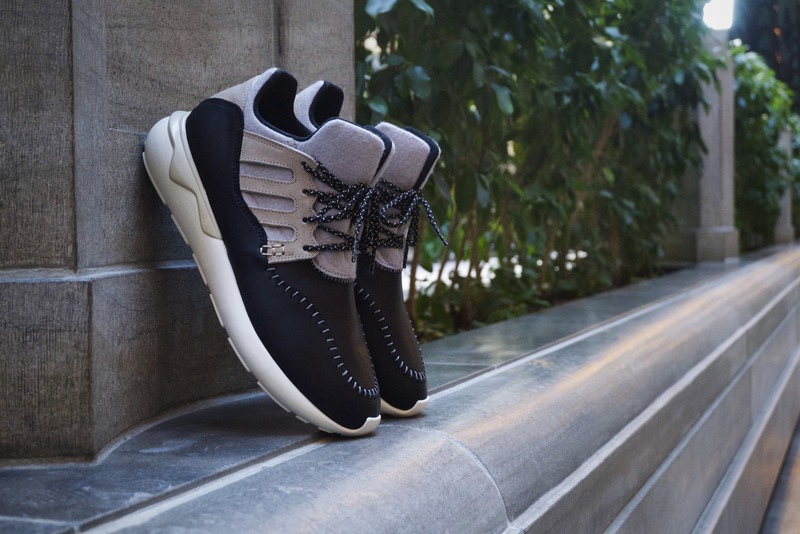 Find out more about the adidas Consortium x OTH Tubular Moc Runner HERE.